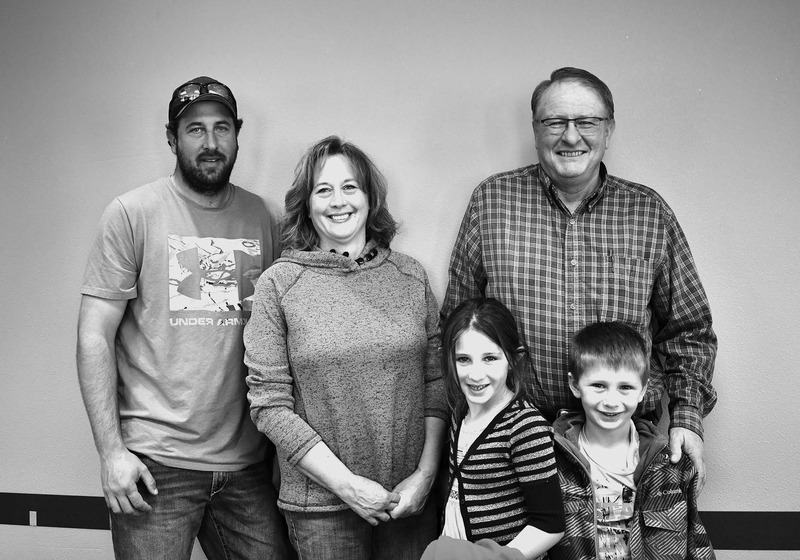 Steve Eggleston Retires – Sangre de Cristo Electric Association, Inc.
Steve Eggleston (far right) celebrated his retirement with family and co-workers at the end of 2018. Steve Eggleston, staking technician III, retired from Sangre de Cristo Electric Association at the end of 2018. 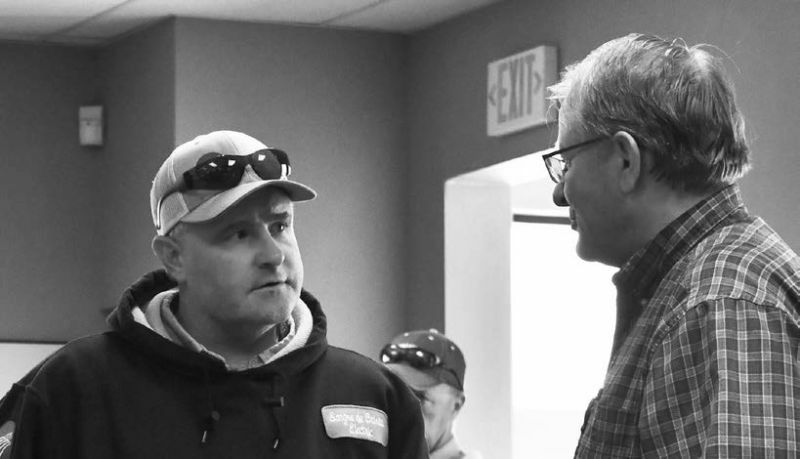 Steve had a 30-year career at the co-op, during which he oversaw site plans to bring electricity to new projects, relocation of lines and the construction of line upgrades throughout SDCEA’s service terri­tory in central Colorado. He worked with property owners, project managers and organizations such as CDOT on the details of proposed projects, secured easements and otherwise ensured projects were ready for construction. SDCEA Line Superintendent Ryan Doke and Steve Eggleston. He opted for a low-key send-off — a chicken-fried steak luncheon — which he shared with his family and his co-workers.